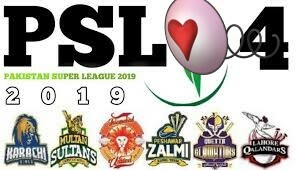 The PSL 2019 edition, Pakistan Super League is scheduled to start now form Feb 14th, 2019 and end March 17th, 2019.
a tournament is started & labeled "HBL PSL 2019"
in the third edition of Pakistan Super League three Matches, 3 matches including 2 playoffs & final were in Pakistan. Feb 14, 2019: now the Tournament started now in Dubai defending champions IslamabadUnited who will take LahoreQalandars Now since Lahore Qalandars expected to be fan favorites. we are best we are best but we are one nation that,s truth just understand. Just Support each cite and respect to each other. May Be My Collection of Team is Right. We are One Nation. I am Support All the Teams. This is Just A Match and Gameplay of a few days. many people come into the streets and behave like a pagle. can you understand pagle what is pagle? okay just my mean is not do this that plz just watch the game and one cites is win this is not one city win the Pakistan nation win. now your many relatives and friends also form other cities some form isbd and some form Lahore and some for Karachi.can you fight with theme we are a winner. off cours, not this is just game.we are all winner. The News Channel is Like A Girget can you understand Girget the girget is Animal he Changes Many Colors at a time. now news channel do anything for the channel of (TRP). he is Not with innocent peoples.in the PSL When someone Meet With you in PSL form other cites do not fight with him.i don't know people do not understand this is just game not fight. Just Understand PSL is Just a Match🏏 Not a War We are One Nation form starting Match and After The Match.